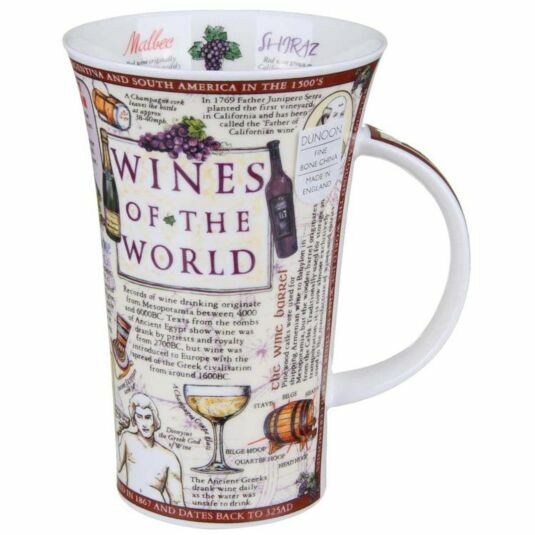 This Wines of the World mug from Dunoon is an informative mug detailing various types of wine and their origins. In the Glencoe shape it features a design by Caroline Dadd with intricate illustrations, lots of explanatory text this mug is both educational and sophisticated. 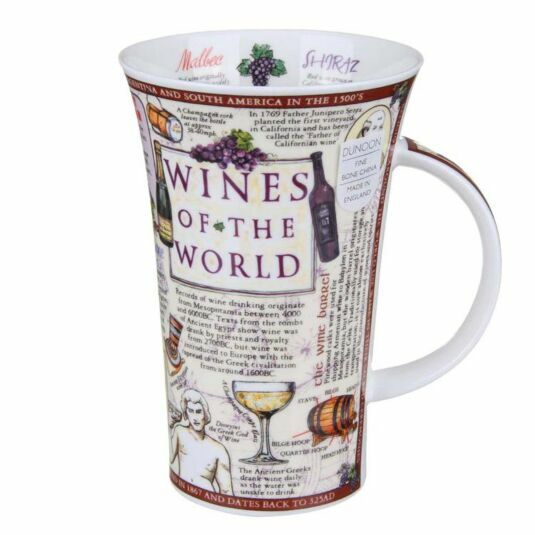 The perfect present for a wine connoisseur.